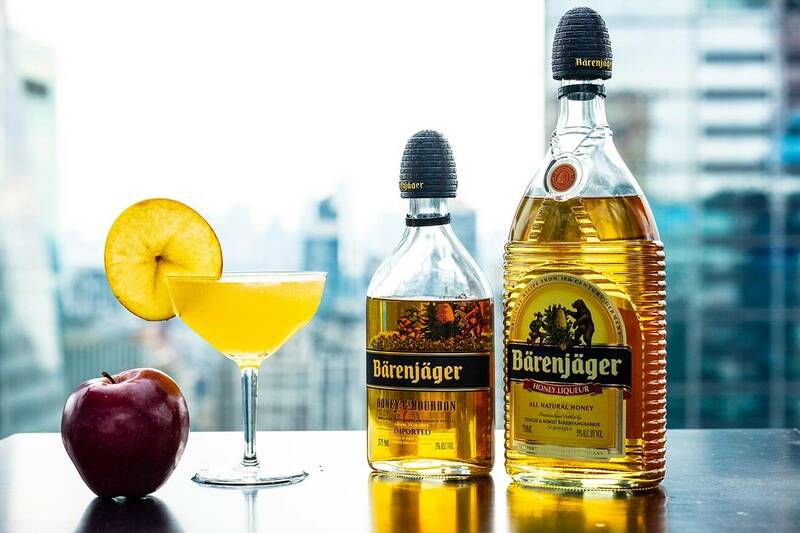 All Natural Mixmasters with Bärenjäger Honey Liqueur Autumn in New York is special for many reasons, one being the amazing varieties of apples grown in the state. 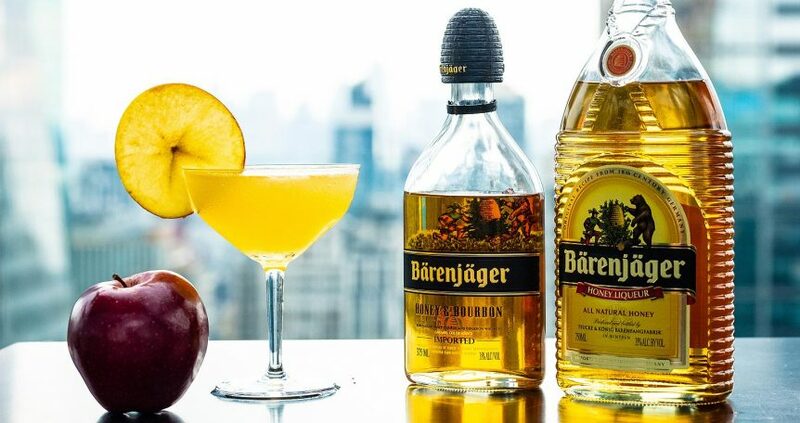 My favorite is the Honeycrisp, and I wanted to show how this sweet and refreshing apple compliments the deep flavor of the Bärenjäger Honey Liqueur. Also, a drop in temperature pairs deliciously well with bourbon. Together these rich flavors, brightened with a little lemon make this the perfect drink to usher in the crisp New York fall weather. Preparation: Muddle apples, lemon juice, Bärenjäger Honey Liqueur, and simple syrup in a shaker tin. Add brandy and the Bärenjäger Honey & Bourbon, then shake and strain into a coupe glass. Garnish with an apple slice on lip of glass. 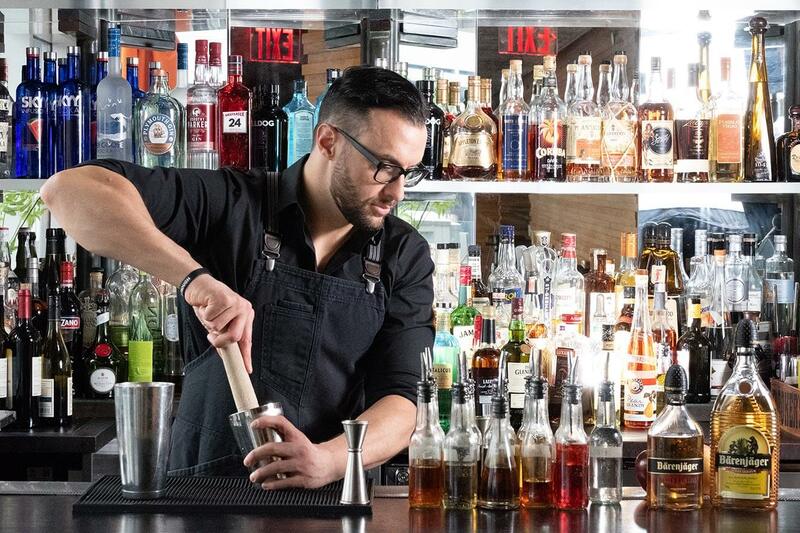 Justin Biaggi, a Bronx native, started his cocktail journey by making Negronis for his uncle’s social club in Brooklyn. His attraction to wine and mixology led him to bartending for extra cash in between touring as a musician across the country. He now has 10 years experience in the hospitality/food and beverage industry. From dive bars to rooftop lounges, Justin has been a key player at every type of establishment across NYC. He was also fortunate enough to train under world renowned mixologist, Julie Reiner. You can now find him creating new, seasonal cocktails at Bar 54, the highest hotel rooftop bar located at Hyatt Times Square.